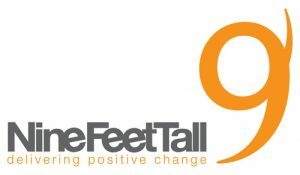 Nine Feet Tall has joined Bristol Law Society (BLS) as sponsors to help to enhance member benefits through a series of jointly curated workshops, thought leadership and events around topics including digital transformation, innovation, technology and change management. Nine Feet Tall are experts in shaping and delivering business and digital transformation through effective programme and portfolio management and have extensive experience in the legal sector. Nine Feet Tall are different from other consultancies. Open, honest and free of jargon, they deliver projects with passion, empathy and accountability, leaving lasting value for every client they have worked with. Nick Lee, President of the Bristol Law Society said, “We are really excited about developing a long term working relationship with Nine Feet Tall to be able to offer our members insight and support into digital and business transformation at a time of increasing change and evolution within the legal services industry. With recognised expertise in the legal sector, we think they are a great fit (together with our existing supporters) to provide a range of educational workshops and market insight as part of our increasing offer to our members”. Nine Feet Tall with be running its first workshop with Bristol Law Society members in May about innovation from inception to execution and will focus on how to create an approach innovation which is meaningful and delivers real benefits to firms and their clients. More details about this to follow. Annual Awards Dinner 2017 – Shortlisted Candidates! Annual Awards Dinner Raffle Winners! Annual Quiz – is your firm the BLS masterteam of eggheads?